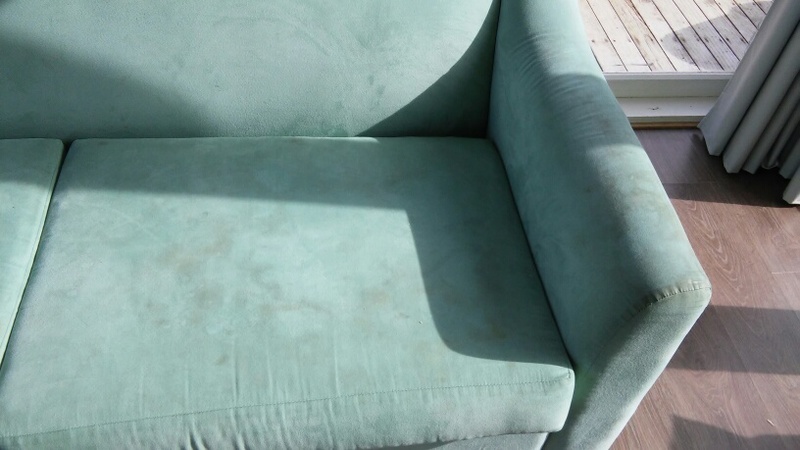 I am sorry to say that the fabric is stained with kids drinks spills over the years. 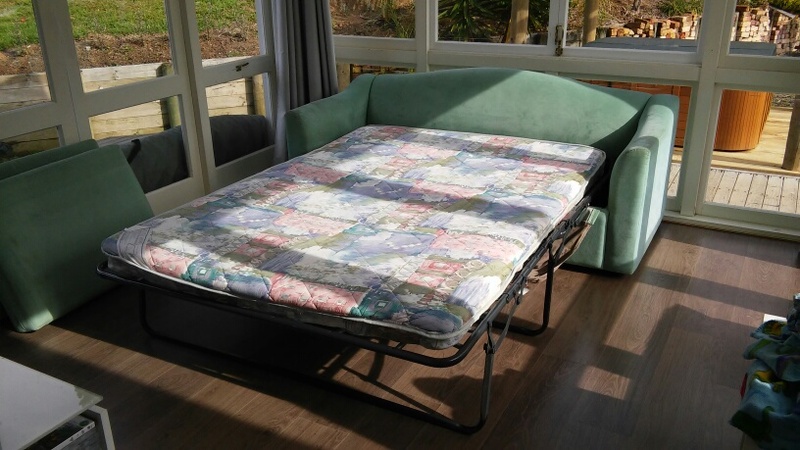 It is still very sturdy and the mattress on the bed is unstained and still in good condition, along with the base. 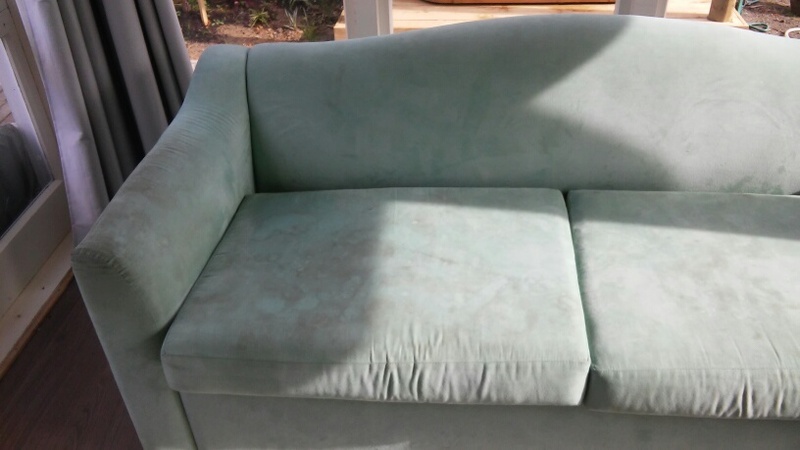 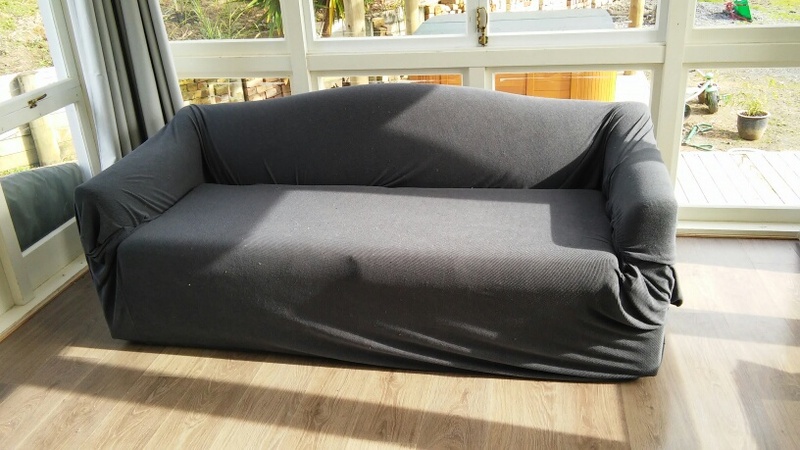 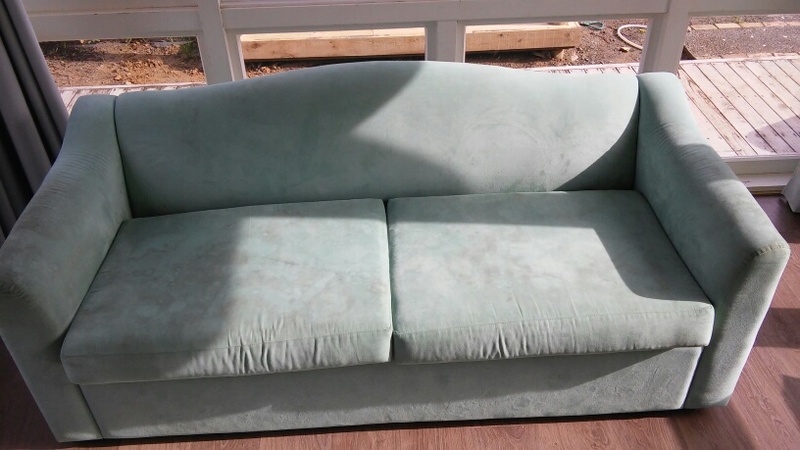 Grey sofa cover is included.